Clever Digit Media is committed to ensuring that your privacy is protected. Clever Digit Media may change this policy from time to time by updating this page. You should check this page from time to time to ensure that you are happy with any changes. This website is owned and operated by Clever Digit Media Ltd, a company registered in England and Wales under company number 04381547 and with our registered office at Clever Digit Media Ltd, New Hall, Market Place, Bradford Road, Melksham, Wiltshire SN12 6EX. other information relevant to client requirements for the purpose of delivering our services. We require this information to understand your needs and to be able to contact you regarding any ideas you have submitted. We are committed to ensuring that your information is secure. In order to prevent unauthorised access or disclosure, we have put in place suitable physical, electronic and managerial procedures to safeguard and secure the information we collect from anything you submit to us. Correcting your information, withdrawal of consent, obtaining a copy of personal information we are processing, deletion of personal information and data portability options. 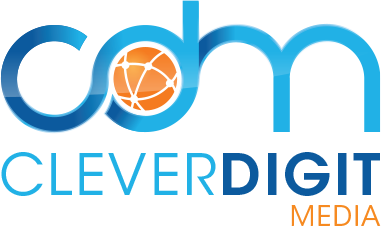 Data Protection Officer, Clever Digit Media Ltd, New Hall, Market Place, Bradford Road, Melksham, Wiltshire SN12 6EX. Please note: this applies to this website only, no correspondence will be actioned or responded to for any other website. The data protection laws in the UK are regulated and enforced by the Information Commissioner’s Office (ICO). Each individual has the right to raise a concern/complaint to the ICO if they have any concerns about how their personal information and/or privacy is treated. You can do this via the ICO’s website ico.org.uk/concerns, follow the links or have an online Live Chat. Privacy statement last updated 24 May 2018.